Soon after purchasing your first RV, you may find yourself wandering the aisles of an entire store devoted to RV accessories. The plethora of items can be overwhelming. 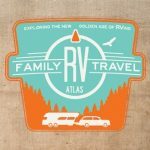 Do you need special RV sheets and blankets? Probably not. Do you need extended towing mirrors? Maybe. Do you need a sewer hose kit? Absolutely! Before you fill your cart with items you’ll never use, read these tips for finding the RV accessory necessities. The most important RV accessories are those that are essential for safe towing. Before hitting the road with your rig for the first time, be sure you have the proper sway bar and weight distribution hitch (if necessary). It’s critical to have a spare tire and a tire pressure monitoring system or pressure gauge. For any repairs you’ll need to tackle, a toolkit is highly recommended. Next, extended towing mirrors may be a necessary purchase if your current mirrors don’t give you a clear view all around your rig. Finally, if you have a travel trailer, consider buying a hitch lock to make it harder for someone to steal your rig. When setting up your RV at the campground, there are several vital accessories you’ll want to have on hand. A level and a leveling board or blocks are necessary for ensuring your RV is level from side to side and from front to back. Aside from adding to your comfort, a levelled rig is necessary for the proper operation of your refrigerator. Finally, if you’ll be lowering your leveling jacks on soft or wet ground, wood boards or jack pads can prevent the jacks from sinking in. For comfortable camping, be sure to have the RV accessories that are essential for operating all of your rig’s systems. To prevent electrical problems caused by power surges at campgrounds, you’ll want to invest in a good surge protector. Also, purchase a special water hose designated for drinking water. In addition to being a different color than garden hoses (white versus green), these have been constructed of materials that are safer for potable water. Next, a water pressure regulator is critical for ensuring excessive water pressure at the tap doesn’t lead to problems in your rig. Additionally, you may want to consider a water filter since water quality varies from campground to campground. Don’t forget the black tank accessories. Most importantly, purchase a high quality sewer hose kit, which connects your tank to the sewer hookup at the campground or dump station. You’ll want to have 20 – 30 feet of length since you’ll sometimes find the hookup located a good distance from your tank outlet. Consider adding sewer hose standoffs, which ensure better drainage by gently angling the hose at a slant from your rig to the sewer hookup. When you hit the camping stores for the first time, it’s easy to find yourself filling carts with hundreds of RV accessories; however, many experienced RVers will tell you they ultimately don’t use all of the trinkets and tchotchkes they’ve purchased. Instead, start with the accessory necessities. Then, thoughtfully add the items you desire for your comfort and enjoyment.